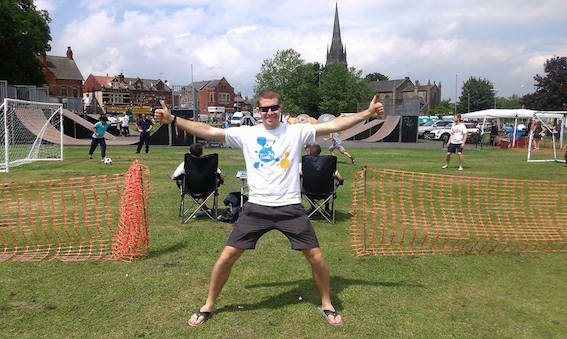 We are very excited for this year’s Holbeck Gala which yet again is set to be the #bestgalayet. Come down to Holbeck Moor tomorrow (Saturday 7 July 2018) between 12-4pm and as usual we have a brilliant line up of bands, great beers in the beer tent, lots of kids activities going on including Playbox, delicious food, a climbing wall, football, facepainting, zorbs, go-karts and a fabulous selection of stalls to browse. Truly something for all the community. This year we’ve also got the big fairground back, so make sure you check out some of their amazing rides. And don’t forget about the parade to open the Gala which starts at 11:30 round the streets of Holbeck accompanied by City Pipe Band and Reetwilers Majorettes! For a taster of some of the music which will be our soundtrack for the day check out our band line up; Leeds Samba Band, a selection from the Beeston Open Mic Nights, Manuka and Mark Wilson as well as the gala favourite DJ Danny! Let’s have a great time joining as the community together to celebrate everything that’s good about Holbeck in this glorious heatwave! This post was written by Kate Alty.